There are many factors that contribute to the onset of wrinkles. Over time, skin begins to wrinkle and things in the environment, like ultraviolet (UV) light from the sun, make the skin even less elastic. Gravity can cause skin to sag and wrinkle. The following four factors are the most significant that contribute to aging skin. Wrinkles are a by-product of the aging process. With age, skin cells divide more slowly, and the inner layer, called the dermis, begins to thin. The network of elastin (the protein that causes skin to stretch) and collagen fibers (the major structural proteins in the skin), which support the outer layer, loosen and unravel, causing depressions on the surface. With aging, skin also loses its elasticity, is less able to retain moisture, oil-secreting glands are less efficient and the skin is slower to heal. All of these contribute to the development of wrinkles. Lines between the eyebrows (frown lines) and lines jutting from the corner of the eyes (crows feet) are believed to develop because of small muscle contractions. Smiling, frowning, squinting and other habitual facial expressions cause these wrinkles to become more prominent. Over time, the expressions coupled with gravity contribute to the formation of jowls and drooping eyelids. Excessive exposure to ultraviolet radiation (too much sun) can result in premature aging of the skin. Premature aging of the skin is called photoaging. The ultraviolet sunrays that cause photoaging damage collagen fibers and cause the excessive production of abnormal elastin. When ultraviolet light damages skin tissue, an enzyme called metalloproteinase is produced. This enzyme creates and reforms collagen. During the process, however, some healthy collagen fibers are damaged, resulting in a disorganized formation of fibers called solar elastosis. Wrinkles develop when the rebuilding process occurs over and over. Healthy skin perpetually regenerates. While old collagen is broken down and removed, new collagen is produced. Researchers have found that smoke causes a marked reduction in the production of new collagen. 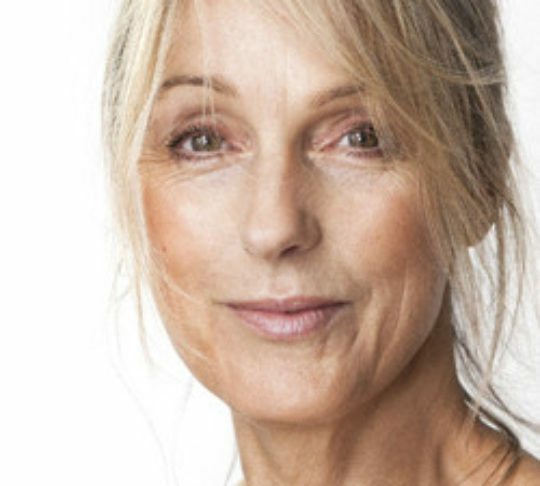 A lack of new collagen results in the development of wrinkles. Laser skin resurfacing with an erbium or carbon dioxide laser, nonablative laser procedures, filler substances and Botox injections are the latest techniques developed to repair prematurely aging skin and wrinkles.